December 18th, 2016 by Roy W. Spencer, Ph. D.
If it seems like the current cold snap is unusual, you are right. As of 5 7 a.m. EST this morning, Sunday, Dec. 18, the average temperature across the Lower 48 states of the U.S. is colder than any time all last winter. Even the unusual warmth remaining in the Southeast U.S. is not enough to offset the frigid airmass much of the country is now experiencing. And the coldest part of winter is still six weeks away. Let’s see how it is now blocked circulation in the north. Low solar activity means exceptional weakening of the polar vortex. At the time of low solar activity the distribution of ozone in the north is compatible with the magnetic field in the north. Main field total intensity (F). Contour interval is 1000 nT. North polar region. Last winter was crazy. I was able to change a failing loudspeaker in my car in January (in New Hampshire) without freezing off various body parts. And deal with changes Hyundai made to the door panel that Crutchfield hadn’t heard of. And change the left speaker too to keep things matched. Today, my rain gauge funnel is plugged with ice and I’m not about to go down the driveway for the newspaper until things melt. December is like that. We still get a Sunday paper. At least you know not to describe it as a NEWSpaper. Well said. But I read the Wall St. Journal (hard copy daily) and it is an excellent newspaper, if you don’t want who shot who locally. And, to the point of the blog, where’s global warming when you need it? The only news anymore are the obits, although I’m sure there’s a liberal out there that could link every one of those deaths to man-made global warming. How do you keep track of the HS football team? Okay, sorry, that’s a joke. Our local paper is useful and small — max 10 pages. The ads and coupons for the local merchants help. It is the small community nature that makes it useful. In these dire times a joke is very important. How about this from Victorian England? What is the difference (Said Albert the Prince Regent to his wife Queen Victoria) between a tube, and a Dutchman? While a Dutchman…is a silly Hollander. Apologies to easily offended Dutchmen. 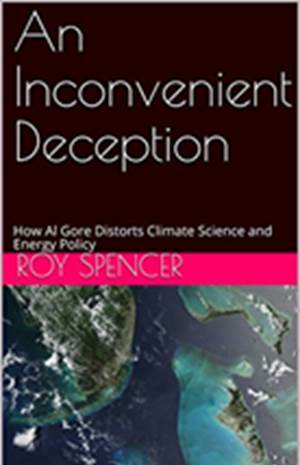 That said my congratulations to the people of the USA and their President Elect, and of course stubborn contrarians such as Dr Roy Spencer for continuing to fight the good fight. Mike, thanks. There is a palpable elation about the President Elect. Many expect a new Robin Hood. He will be Donald J Trump. He will be himself as always. Regardless of who you preferred for President, don’t you think we need a healthy press to hold our leaders accountable?? A healthy press points out when our leaders are lying to us. Otherwise democracy fails..
Nate – What about when the unhealthy press is lying to us? If you can prove them wrong, then find a different media outlet. Plenty to choose from. However don’t assume that if they and our elected leaders disagree that they are the ones lying. The good news is that media are competitive with each other, and dont like to be proven wrong. That so-called healthy press heavily favoured Hillary Clinton while trashing Trump. Almost all of them lie to us continuously about catastrophic global warming/climate change. They have seriously misinformed us about HIV/AIDS. Since 1983 when the Reagan admin foisted the HIV/AIDS viral theory on us without peer review, the media has had a field day with the dangers of HIV and an imminent pandemic in North America. They even changed the phrase, ‘HIV, the virus THOUGHT to cause AIDS’, to HIV, the AIDS virus’. The pandemic did not happen. Recently, the scientist who discovered HIV, Dr. Luc Montagnier, explained why the pandemic did not happen. He explained in an hour long interview that HIV will not harm a healthy immune system. He explained clearly that immune suppression comes from lifestyle, AIDS being a product of oxidative stress. His advice essentially was to stop what you’re doing to suppress your immune system and take antioxidants to combat the oxidative stress. He explained that all of us come in contact with HIV from time to time and that a healthy immune system will cure it, just as it does the flu and other viruses. Peter Duesberg, an authority on viruses, made that claim over 20 years ago and he was persecuted for it. Those with already weakened immune systems cannot resist the virus. Once the media gets it claws into a paradigm they won’t let go. Montagnier, who discovered HIV, claims he did not purify it, isolate it, or even see the virus. He claims to have inferred it based on fragments of RNA in fluids gathered from someone with AIDS. The media cannot be relied upon for truth, they still put out story after story about miraculous drugs that cure HIV and AIDS, when the literature of the drug companies offer a disclaimer that the same drugs do NOT cure HIV and that their side-effects can be lethal. They even claim the drugs can cause infections that are classified under the AIDS umbrella of opportunistic infections. Expert Peter Duesberg called tat ‘AIDS by prescription’. When asked about the use of potentially lethal drugs to treat HIV, Montagnier smiled and claimed that people always seem to want the most expensive treatments. Peter Duesberg has pointed out that some proponents of the viral/AIDS theory have become very wealthy through drug patents and speaking on behalf of drug companies. The media stood by while Peter Duesberg was persecuted for his expert opinion on HIV. There are parallels in climate science where skeptics are being persecuted. Duesberg has finally been exonerated by the scientist who discovered HIV. How long will it take to undo the damage done to climate skeptics by the media? In 2002 Dr. Luc Montagnier wrote a brief (published) monograph on the history of the discovery of HIV, affirming that it causes AIDS and is a pressing threat. We are left with the salient fact that HIV was identified and shown to be the cause of AIDS less than 2 1/2 years after this disease was first identified. It took only another 2 years for blood tests to become commercially available, reducing almost to zero the transmission of AIDS through blood transfusion in developed countries. In 1987, the first anti-HIV drug, AZT, which blocks HIV RT activity, was introduced. With the arrival of the HIV protease inhibitors and triple drug therapy in 1995, many patients are alive today who would otherwise have died. But we must not be complacent–the task ahead is immense. We still do not understand the origin of the AIDS epidemic; the slow destruction of the immune system by factors in addition to HIV infection of CD4+ T cells; the importance of cofactors in AIDS progression and virus transmission; and the nature of the HIV reservoir that resists triple drug therapy. The next wave of advances in the fight against this worldwide scourge will require the contribution and energy of us all. I canceled my subscription to Florida Today but my wife showed me that the coupons saved mored than the subscription cost so we signed up again. Then I noticed that the good coupons were almost entirely over weekends and holidays. Even though Florida Today is not worth reading we get it from Friday through Sunday. My wife clips the coupons….. I do the puzzles…..nobody reads the editorial page. I don’t see much hope for the “Main Stream Media” as Donald Trump won’t ignore their lies as George Bush did. He bypassed the MSM and spoke directly to the American people as Ronald Reagan did. Thanks to the Internet Trump has more options than Reagan enjoyed. From Matt Waite journalism professor at the University of Nebraska. “This month, I spent a week surrounded by bright, well-meaning journalism and tech thinkers. Session after session, day after day, conversations kept coming back to these questions: How do we restore trust in media? How do we reach Middle America? What do we do about fake news? Heres my prediction for 2017. Its the safest prediction I could make beyond the sun coming up in the morning. 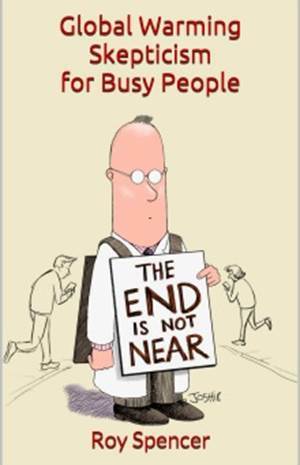 Its aimed right at the people who run news organizations. You wont fix this. Any of this. Not in 2017. Not soon. You still dont believe youre the problem. The fact that old media is so biased left and so disconnected from the in “fly over” country is why they didn’t come close to calling this election correctly. Their bias remains on display now. True and honest self reflection is alien to them and so they run with stories about recounts and the Russian “hacks” even though WikiLeaks has said those emails came from a disgruntled insider in the DNC. NBC and the rest were appalled when Trump said he would wait and see. if he would accept the election results. But when Trump won NBC, NYT and the rest covered the recounts and violent protests without condemnation. The total bias is there for everyone to see and the will continue. IMO it will damage further the MSM’s already damaged credibility. They apparently think so too and thus their total support of the democrats “fake news” theme. IMO the media mainly has a bias toward getting higher ratings. Which means they try to present a ‘balance’ in their coverage even when there is a mountain of evidence on one side of an issue. Trump has masterful at selling the idea that media has been lying about him, even when they have him on tape. Thus CNN, who Trump had labeled terrible and very biased against him, had ~ a half dozen hired Trump partisans (Lewandowski, etc) to constantly put impossible spin on whatever he did, even the ‘grabbing them by the p***y’. When Trump said that he won the popular vote and millions voted illegally, the MSM asked for evidence. Without evidence of such a wild claim it was labeled false. Was the media lying in that case? I can give many other such examples. If you’all are comfortable with your president constantly making up ‘facts’, passing on unproven conspiracy theories, and not having the media call him out on it, then I’m very concerned about our country. We will close the detention camp in Guantanamo Bay. Still open. If we have not gotten our troops out [of Iraq] by the time I am president, it is the first thing I will do. Didnt happen. Today Im pledging to cut the deficit in half by the end of my first term in office. Instead, the national debt increased $5 trillion on his watch. As soon as were out of this recession, weve got to get serious about starting to live within our means. Huh? We agree on reforms that will reduce the costs of health care. Families will save on their premiums. Weve got shovel-ready projects all across the country. Later, Obama admitted his own lie, saying, Theres no such thing as shovel-ready projects. We reject the use of national security to spy on citizens who are not suspected of a crime. We will ensure that federal contracts over $25,000 are competitively bid. We will eliminate all income taxation of seniors making less than $50,000 per year. We are going to work with you to lower your [health care] premiums by $2,500, and well do it by the end of my first term as president. I dont take a dime of their [lobbyists] money, and when I am president, they wont find a job in my White House. In fact, Obama granted waivers at will, and more than a dozen lobbyists got jobs in the Obama administration. I pledge to preserve, protect and defend the Constitution. But Obama has ignored the constitutional amendment granting powers not enumerated in the Constitution to the states. If youve got a business you didnt build that. Somebody else made that happen. The sequester is not something that Ive proposed. It is something that Congress has proposed. The truth is that the White House proposed an automatic sequester on July 12, 2011. I didnt set a red line [in Syria]. And yet, at a prior news conference, using unscripted language in a statement, he said, a red line for us is we start seeing a whole bunch of chemical weapons moving around. Its here that companies like Solyndra are leading the way toward a brighter and more prosperous future. After Obamas administration gave the company $535 million, Solyndra and its solar panels went belly up. To Israel, We have not only made sure that they [Iran] have to stop adding additional centrifuges, weve also said that theyve got to roll back their 20 percent advanced enrichment down to zero. In fact, the deal allows Iran uranium enrichment of 5 percent. Eighty percent of Americans support including higher taxes as part of the [debt ceiling] deal. However, that same week, a poll by Rasmussen showed only 34 percent supported a tax hike as part of the deal. In 2006: America has a debt problem and a failure of leadership. Americans deserve better. I, therefore, intend to oppose the effort to increase Americas debt limit. But as president, Obama has led the charge each year to increase Americas debt. And, lets not forget PolitiFacts 2013 Lie Of The Year: If you like your health care plan, youll be able to keep your health care plan, period. No one will take it away, no matter what. You can keep your family doctor. What do you think of this idea that the stronger arctic warming is weakening the polar vortex and allowing arctic air to penetrate further south. Plausible? I do not think your idea is grounded in any real data. It is based upon no research and forming a very unsound hypothesis. Here are things to look at. Then check out some Arctic spots in this year. Looking at this data it shows the Arctic was quite cold and a polar express still came down to Omaha from the North. Opposite of your hypothesis. Check out Thompson, Canada December 2016. About the same level of cold as in 1983 so I do not see this warm Arctic causing cold waves to hit the lower 48 as a reasonable assumption. Play around with weather history, it may open your eyes to the “fake news” in the Main Stream Media concerning anything to do with weather and climate. Certainly unscientific to a high degree. No research done, false and unjustified claims. Really bad media, do research yourself and do not trust the Fake climate news. Maybe read this one to go with yours. I have not accepted that idea as a valid one at this time as it goes against what I had learned in meteorology (greater temperature gradient causes faster more undulating jet stream, now she claims opposite). Here is one from someone who believes in AGW but does not accept the recent claims as valid. Take a look. Good site. I agree that it is far from certain that the Francis paper and related ones are going to to turn out to be correct. But as your site shows, it IS an active area of research. The media often assumes any new research idea is CORRECT, not just in climate, also in health and medicine. I also note that your site places Fox’s coverage of climate change and ‘global cooling’ in the bucket of Fake News. The Cliff Mass blog makes the same assumption that so many critical of the polar vortex hypothesis do. Quotes the 2007 IPCC, and then pits that against newer information as if understanding could never evolve. Francis, as cited above in the CM blog and other bits in this sub-thread, was the first to hypothesise on the jet stream becoming weaker as the temperature gradient between the Arctic and the mid latitudes lessened over time. Her first paper on it, though not specific to this concept, was in 2009, 2 years after the 2007 IPCC was published. Her 2012 paper addressed the matter directly. At this point, still theoretical, and many news articles mention the hypothesis as a possibility, rather than the truth (TM). Some don’t qualify the understanding and instead present it as fully determined, because, well, news media. The correct story is that there is a hypothesis that Arctic amplification in a warming world is causing the polar vortex to become slower and less stable, particularly in Autumn. This hypothesis post-dates AR4 (2007 IPCC) and has been a popular story in the press, as well as promulgated by the Obama administration’s chief science adviser, who also pitched it as probable rather than certain, noting that there was a “growing body of evidence” for the notion. Worth looking at weather history, I agree. But any correlation is likely to be a statistical one, a tendency. So individual months and locations may not fit the pattern. Your argument is baseless. The World’s climate is based on a standard PID process. The Proportional part is clouds that by lifting latent heat from the surface offset almost all warming from [CO2] change. The Integral part is ocean currents, transferring heat to the Arctic this year, where it shoot off to Space. The Differential part is convective overshoot which takes heat via the Hadley cells to the poles from the equator. IPCC atmospheric science is a massive fraud dating from 1976 when R D Cess made a bad physics’ ‘mistake’. This was backed up by science fraud from GISS modellers, admitted 24 years later by Hansen to an AIP interviewer. Hansen’s claim that the 3-D models corrected that mistake are ludicrous – it’s the same fraud done by the late husband of the Met. Office’s recent Chief Scientist, just more sophisticated. The real AGW has been from Asian aerosols reducing cloud albedo. That extra heat has now escaped as the planet has adapted. Data fiddling has doubled real temperature rise. We’re now entering the new LIA. There is good evidence that the ocean temperatures in the artic are causing the northern (and southern) jet streams to behave differently than they have in the past. Their movement ,speed and pattern determine cold weather events within their boundaries. Global warming has a distinct affect on their behaviours , and therefore on climate change. Seems to me any heat heading to the Arctic would quickly be taken care of by convection. What do you mean by strong Arctic warming? The warming is in hot spots located in various regions and they alternate. At worst, in the epicentre of a warming hot spot the temps are +5C above the 1980 – 2010 global average. That would warm that region from -40C to -35C this time of year. Do you think that would make any difference to an Arctic vortex? Theory goes that the strength of the vortex is influenced by the temperature gradient between high and mid latitudes. If the temperature gradient gets less (by Arctic warming more than mid latitudes) then vortex weakens, and vise versa. Will this cold weather migrate to Europe? As I showed above, Europe is not threatened. LOL. Thus a fake news story will be born. 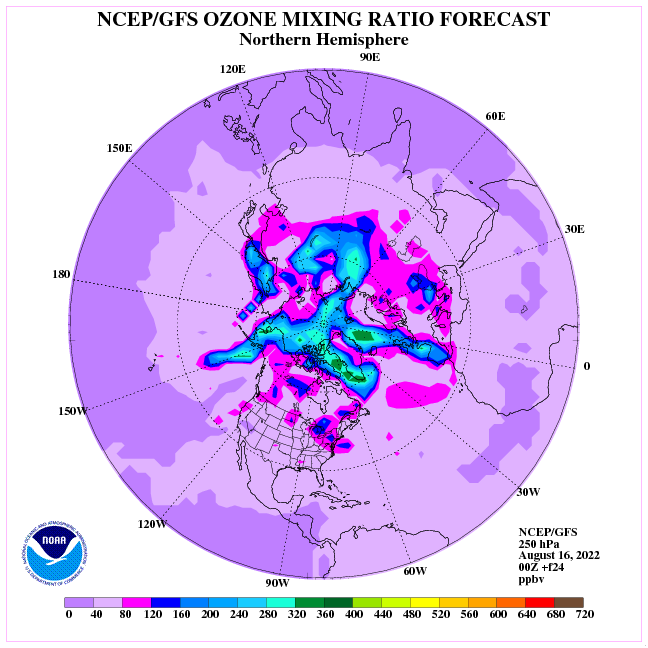 The distribution of ozone in the tropopause forecast shows of circulation tomorrow. Circulation runs along the blue area, from west to east. Does any media and climate scientist connect it with climate in any way? No, but if the month was slightly warmer than last year it would have been all over. Averages and anomalies for years, months and even days gets more attention than needed. Climate is so much more than these average temperatures. No one live in an average climate anyway. Here it is both colder and warmer. What the heck. Looking at the earth’s climate in a general sense, there doesn’t appear to be any catastrophic trends. Although, I hope it doesn’t get any colder. Cold air in North America is not news. Okay this time seems a bit early. It’s why they don’t grow oranges in Atlanta. Those early settlers of the region also knew of another weather action; in my case Western Pennsylvania. The arctic has been freakishly warm since about mid October. Temps sometimes running 20-30 degrees F above normal. The sea ice extent has shattered the daily record for least coverage every day for almost two months. 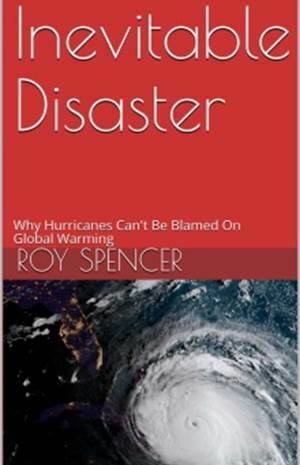 Dr. Spencer, do you think that is related to climate change? Strangely enough, antarctic sea ice is also at record daily minimums after breaking maximum records in recent years. But it was really cold here in the US. I could use some “global warming” about now. Oh, another question for Dr. Spencer. I read that Trump was going to discontinue all funding for climate related science. Are you going to be able to keep working? I also heard Trump will demand the powering down of the NOAA and NASA satellites gathering climate data. Can you continue doing your science work without them? Trump also demands we work harder, for less pay, and more taxes and that we become racist, sexist, misogynistic get married at 12, never divorce, exercise daily, never gain too much weight. The list of his demands is long. Yes, it’s long and completely different than your attempt at fake news. It all makes sense when you look at the jet stream behaviours, and this in tun is determined by the differentials between the polar regions and the tropics, and the ocean temperatures are a big factor. This year, the southern ocean was much warmer than usual, Ne the southern jet stream moved further north, thereby pushing the cold air further north, and allowing warmer air into the Antarctic. Southern Australia had our coldest winter in some time, but Antartica was unusually warm, and much less ice formed. Warm ocean currents are continuing , and my guess is that these events are now the new norm ,for a while anyway. I think this link may show you why you are still having cooler. I would say that cooler than normal ocean currents are continuing off Southern Australia. 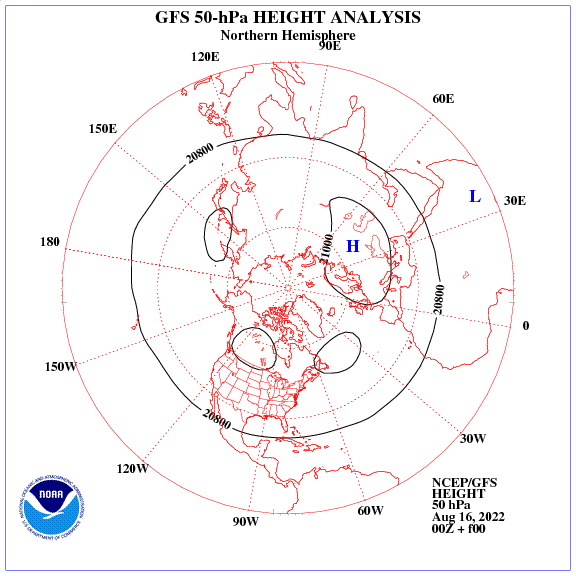 Carter…”The arctic has been freakishly warm since about mid October”. Yes…and all the frigid air from the Arctic setting record temperatures for cold around Vancouver, Canada is a mirage, right? Rapidly falling temperature in the region of the Great Lakes. Regards. I would recommend hot tea with ginger. About 30 years ago, a cold front moved through the Southeast, bringing 4 degree temperatures to Savannah, Ga.
Hopefully we don’t see that again. A strong snowstorm in the north-west of the USA. Is this graph based on land-based temperature readings, satellite data, or both? The description is a bit vague, but the seems to contain both satellite and surface data. Let’s see…when hemispheric record setting heat persists for months, we ignore it, but when it gets cold in winter over a tiny fraction of the Earth’s surface, it’s newsworthy. Got it. By the way, any of you taken a peek at the temperature anomaly in the arctic circle lately? @Slipstick: The Antarctic trend has been flat, stable, and in equilibrium since 1980. The Arctic trend appears sinusoidal with an approximate 0.25 deg.C warming bias which easily is attributable to increased Arctic volcanism. A moment of critical thinking: So what you are saying is that Arctic vulcanism has increased since 1980, accounting for the increase in temperature and the resulting loss of Arctic ice. If you would actually read the paper you cited, you would note that it proposes that loss of ice and glacial erosion caused an increase in vulcanism, not the other way round. This name is more correct: Wim Rost – the program changes the name – the program can’t work with the two dots on the ‘o’. I believe there are volcanic vents relatively close to the sea surface in that area. The circle is partly covering the Mid-Atlantic Ridge, the place where continents are drifting apart, at Reykjavik with a speed of about 2.5 cm. per year (Wikipedia). The area knows volcanism: https://ktwop.com/2013/08/03/undersea-volcanic-activity-creating-new-island-chain-at-norways-lokis-castle/ Norways volcanoes are lined up underwater in large active earthquake zones. Diameter of the circle West of Svalbard that has a big SST anomaly (yellow), measured at the sea surface is 160 km. The circle overlaps the central valley of the Mid-Atlantic Ridge. That central valley at that point has a width of 40 km. Dept at the center of the valley: – 3355 meter below sea level. A massive warming of the subsurface waters seems to be possible. Think about a warming by a thin and still hot earth crust and temporarily at certain sites a bigger outflow of lava. Interesting is the near blue spot north / west of the present warm yellow spot at the Nullschool image. I have seen it before. If this one is as persistent as the yellow one, it could reflect that there has been an earlier warming from below during the reference period Nullschool uses. It is not as such visible on the SST themselves. Have you yet realize that the quickest way for “heat” to leave the atmosphere is through the Arctic region? I especially enjoyed this one; I call it the “Rush for the Exits” hypothesis. Ummm…the atmosphere is releasing heat faster, a consequence of those pesky Laws of Thermodynamics with increasing temperature, not cooling faster. There’s always a “with one bound he was free” explanation. Have you any idea how many TW it would take to heat the Arctic ocean by 0.25C? Bearing in mind that it has a volume of 18,750,000 km3? I’ll let you do the calcs my friend. Yep….checked out Inuvik a few days ago and it was nearly -30C. I was talking about the Arctic as a whole, which has a significant positive temperature anomaly. While Inuvik temperatures are currently about average (which, by the way, was not the case two weeks ago, or last month, or the month before that,…), Alta, Norway temperatures, for example, are about 5 degrees above average. Thank you for proving my point that cherry-picking and relatively small or short duration samples are meaningless. NOAA is corrupt. They are currently being investigated by a US Senate committee for falsifying the historical record. If one were inclined to critical thinking, it’s kind of hard to imagine climatic temperature adjustments are particularly significant relative to the magnitude variation of daily records. No they’re currently being investigated by chairman Lamar Smith as a result of challenges to his sinecure by the tea party! It’s not NOAA that’s corrupt. Overnight ice and snows cleared out of southern IL giving way to the coldest morning of the season. While temperatures remained well above freezing in the teens, the big story was the drop from less than 24 hours ago. Some nearby areas broke record highs on Saturday, then watched as temperatures plunged by as much as 60-degrees in less than 24 hours. Winds gusting up to 15 miles per hour put wind chills below zero across most of the region. The current circulation causes a large increase of snow in Greenland. Hudson Bay freeze over completely to end of the week. Dear Dr Spencer, please don’t freeze in any polar vortex and happy birthday to you today! Lubos Motl…if that’s really you, and not someone from skepticalscience impersonating you, good to hear from you. Pshaw! It’s NOAA data. That’s supposed to be all rubbish, eh? Yes…this week too. I pay no attention to NOAA since they began indulging in scientific misconduct. Won’t take Trump long to straighten them out along with GISS. That’s what the chart in the OP is derived from, so I guess this whole article is spurious, eh? This is typical of the most transparent administration ever. There’s still time to impeach him. Go for it. You might want to actually take a look the report cited in the article. This was internal misconduct in the DoE, did not involve the White House, and had nothing to do with climate change. Apparently, the “Wahington Free Beacon” is radiating falsehoods, at least in this case. Conservative media outlet is way too liberal with the truth. Ironic, eh? As a matter of semantics, “way too liberal with the truth” would mean inappropriately spreading the truth (which is rarely possible, except in select circumstances, such as discussing fabled gift-bringers with children and commenting on one’s spouse’s appearance). In this case, “way too liberal with the mischaracterizations” would be accurate, unfortunately. Liberal can also mean not quite true, loose, or inexact. Back during the cold spell in the 70’s scientists claimed the polar vortex dipping down was the result of cooling. In a chaotic system, deviations due to disturbances can occur in any direction, unless the disturbance is sufficient to impose a direction. Why are you citing four-decade-old science? Experts once thought the sun revolved around the Earth. They were wrong about that, therefore experts must be wrong that the Earth revolves around the sun. Increases the strength of the solar wind and the polar vortex accelerates. A change in the circulation. Merry Christmas to all and thank you for your attention. 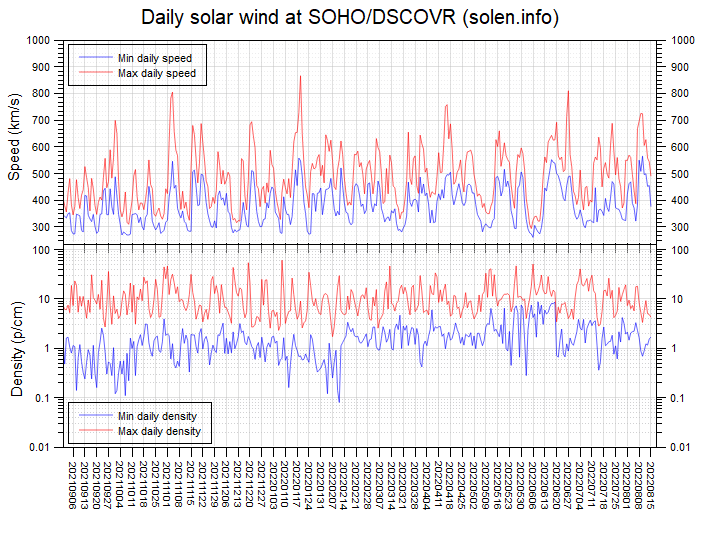 Strong jumping solar wind means the further disruption of the polar vortex.